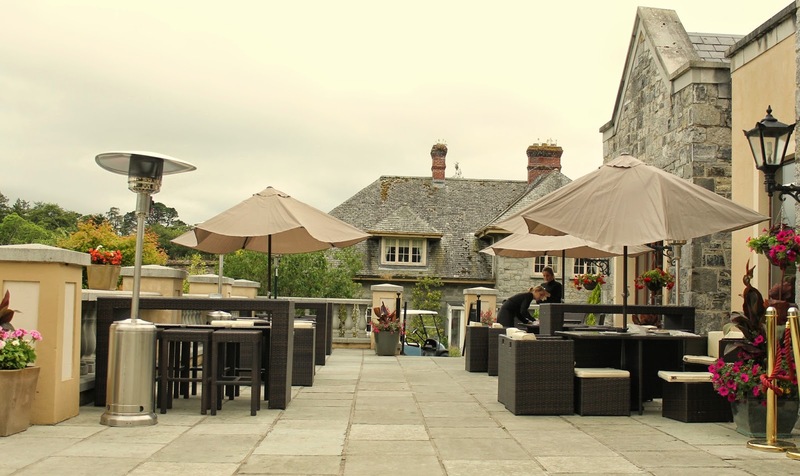 As I shared in my review of Adare at Ciao Bambino, we needn't have worried. In fact, there's so much for kids to do there that we ran out of time in our short stay to experience it all. Even though it was brief, a 5- and 2-year-old managed to pack a lot of fun into our visit. Big Arrow even managed to lock himself inside a 17th century toilet stall, but that's a story for another day. 1) Play pretend. 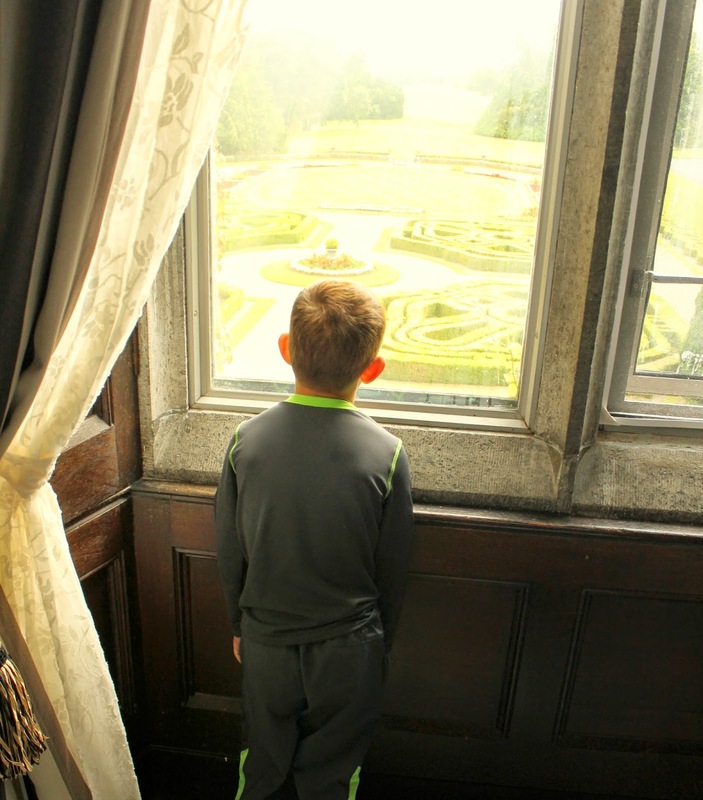 I can't imagine a more authentic experience for pretend play than Adare Manor's gorgeous building. 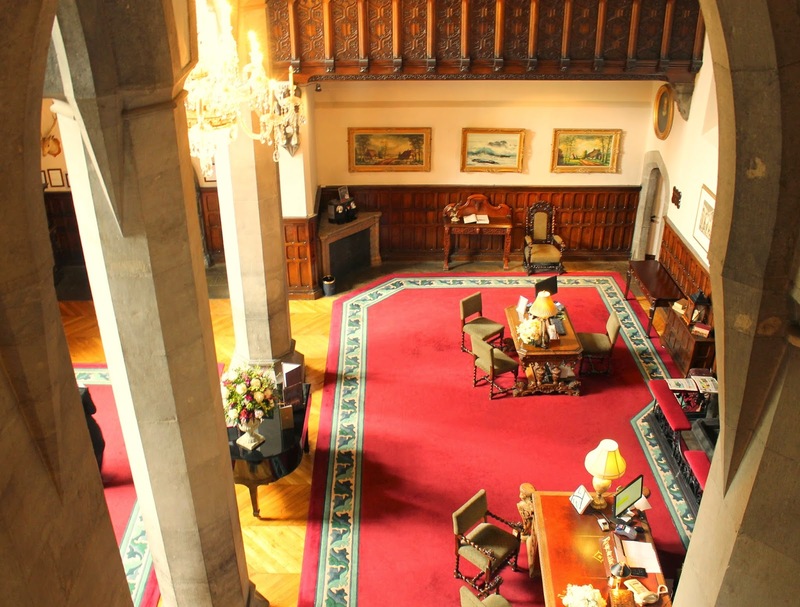 One minute my boys were knights, shooting pretend bows from our castle windows out onto the garden (and the imaginary invading army), the next they were slaying mythical dragons as they cascaded down the gorgeous stairway into the impressive lobby. I cannot say enough about the interior of this building. It is every bit as exquisite as the exterior. 2) Falconry course. The staff at Adare encouraged us to get the kids involved in a falconry course during our stay. I wasn't sure it was a great idea at first... my children are notoriously frightened of getting close to animals. The zoo is about all they can handle. But again, I shouldn't have been concerned. 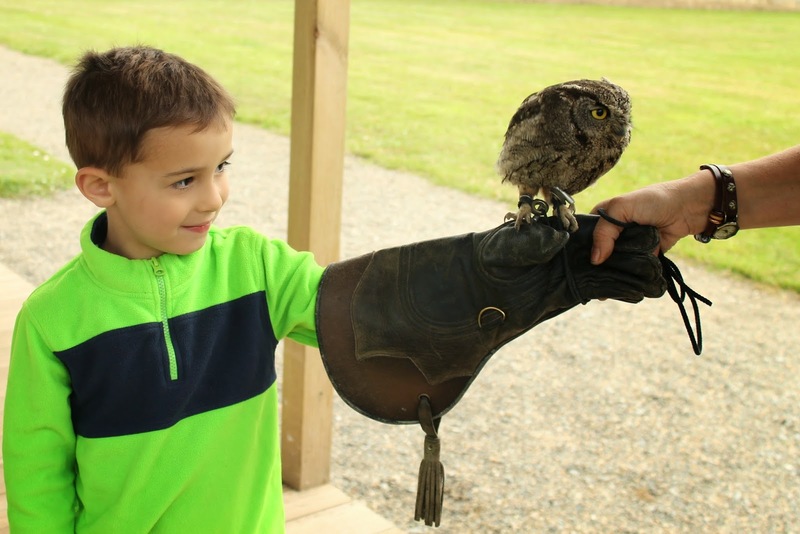 The falconry staff was amazing with my skeptical kids and by the end, they happily held the birds on their arms. I'll be writing more about this soon. But it's a definite "must do" while there. 3) Swim. 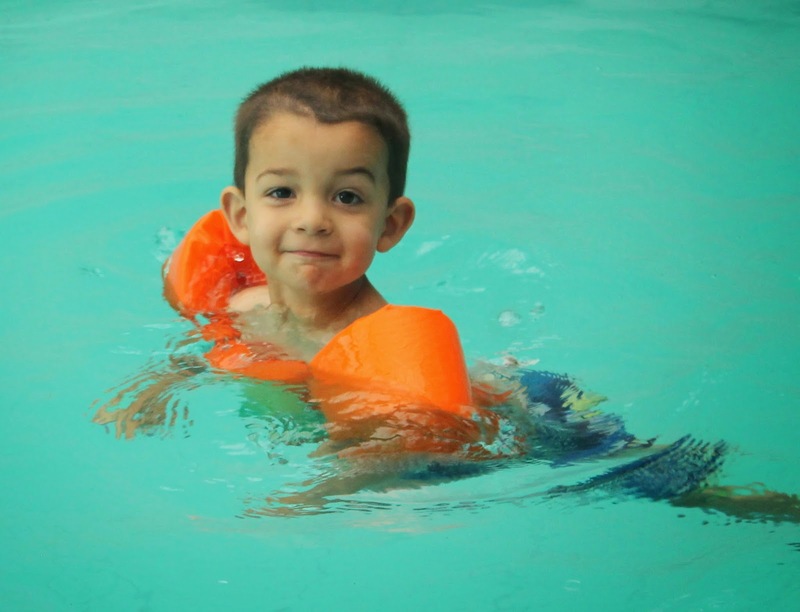 The indoor pool at any hotel is a must with young kids, right? And Adare's shouldn't be missed either. 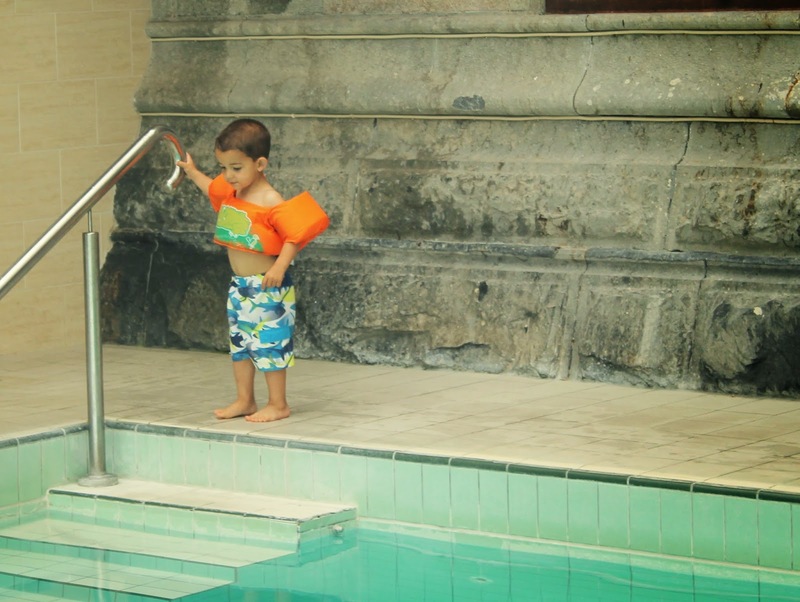 The boys are happy to splash and jump just about anywhere, but my husband and I were marveling at how the pool is tucked into a conservatory built into the manor walls. Incredible. And one entire wall of the pool area is glass, overlooking the gorgeous river and gardens outside. It was like swimming with the LL Bean catalog just outside the windows. 4) Get lost outdoors. While Adare Manor's building is spectacular, I was more taken with the grounds. It is best known for its golf course, but given that my kids are more bogey and less birdy, we avoided it. Instead, we skipped through the formal gardens, admired the stocked river that babbles along, and watched some older kids playing soccer on the wide lawn. There are tons of little discoveries to be made, like when we stumbled upon the oldest cedar tree in Ireland. They're currently redeveloping a fairy trail that was destroyed during a storm. I think that will make Adare's outdoor space even more child friendly. 5) Dine out. Like any parent of young children, it is dining in nice restaurants that I find most daunting while traveling. Often, we avoid them entirely. 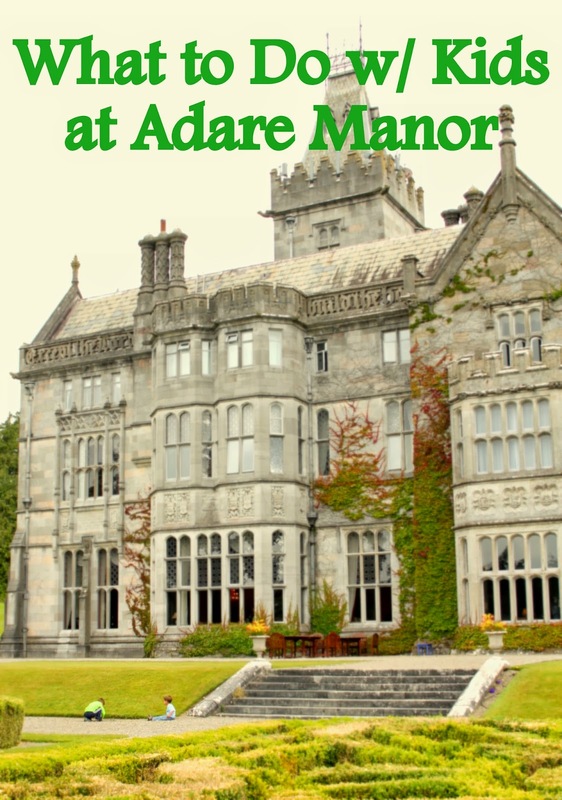 I'm happy to say you'll find plenty of options for family-friendly dining while staying at Adare. Starting with breakfast in the gorgeous Oak dining room. It was quiet there when my early risers were ready to eat, and they happily took their time surveying the options from the buffet while the adults waited for hot food from the kitchen. If we had more time at Adare, I would have loved to take my boys to afternoon tea, which has a special kids menu. For dinner, we dined al fresco at the golf course clubhouse, a very casual spot with lots of kid-friendly food options. And if your kid spills their apple juice all over the breakfast table? Let's just say I can report with certainty that you won't be the first family to do so at Adare. Before you can jump to your feet for a stack of paper towels like you would at home, the wait staff will have it cleaned up and they'll make a kind joke about the clumsiness of "wee ones" in that Irish accent that makes me swoon every time. 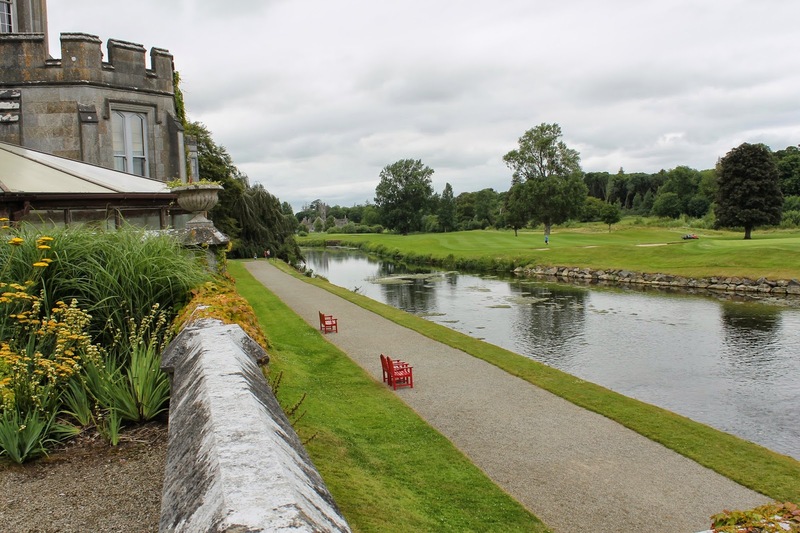 Disclosure: My family was hosted by Adare Manor for a night. All opinions are my own.